The Integrating Science and Engineering Education (iSEE) project is a partnership between SASP, Elk Grove Unified School District (EGUSD), Folsom Cordova Unified School District (FCUSD), the CSUS College of Natural Sciences and Mathematics, the College of Engineering, and the College of Education. The three-year program was originally funded through a California Mathematics and Science Partnership (CaMSP) grant (Cohort 13). Program funding is now in transition, but year 2 funds have been secured. The purpose of iSEE is to improve student understanding of science and engineering related to the Next Generation Science Standards (NGSS). 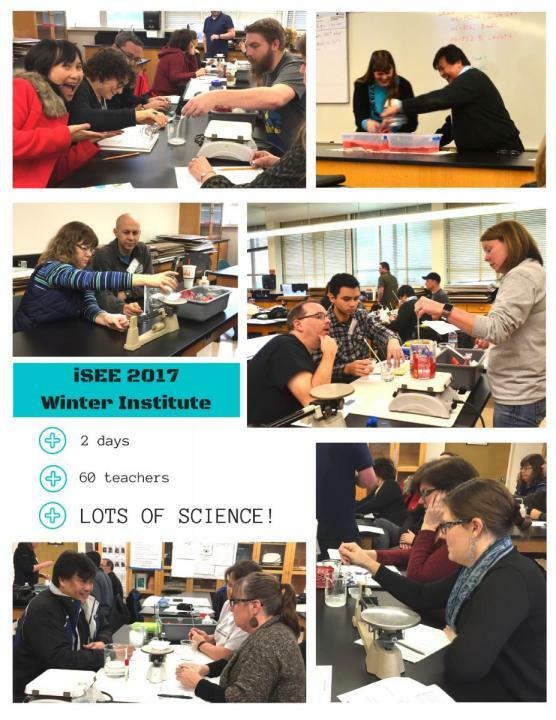 To that end, iSEE provides professional development to approximately 80 teachers (grades 6-11) which integrates science and engineering content. Teachers must attend 60 hours of intensive professional development institutes and 24 hours of school-based follow-up (lesson study). Teacher groups within the program will each produce a module of NGSS-aligned lessons which include an integrated engineering component. For more information, contact Rich Hedman (hedmanrd@csus.edu).